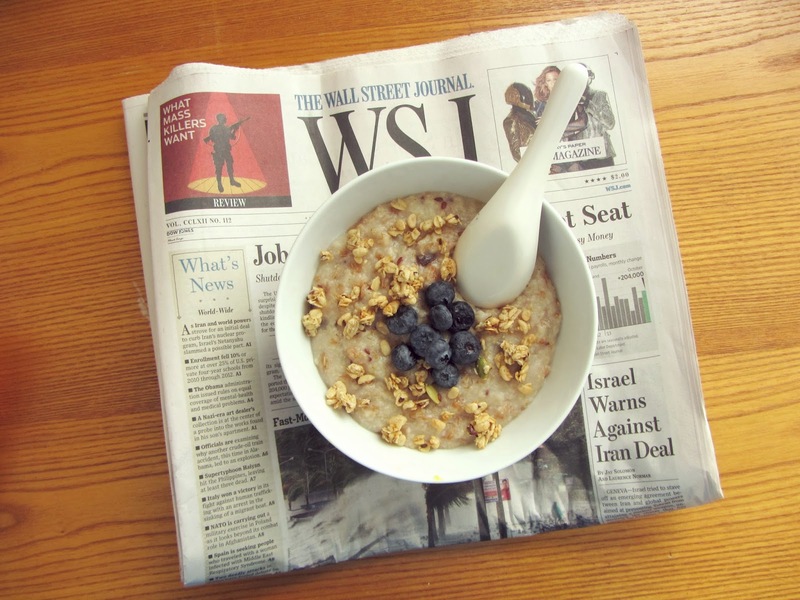 On my first weekend morning without homework and upcoming quizzes or tests, I took my time to catch up with the rest of the world through newspaper and make "real" breakfast (no microwaving involved). I can't believe it's already November. Time flies when you become a slave to education. You know life is rough when you can't recall how many hours of sleep you get because accidental naps happen when trying to pull an all-nighter. You also know life is rough when you put life on hold. You know, restocking the fridge, tidying up your place, laundry, and making real food. Despite how little sleep I had on Thursday night and my level of exhaustion, I was able to do all of the above and get my life in order. I wish I could say the same for every weekend though. But I've been incredibly busy, and quite frankly I'm just tired of school. In fact, don't want to attend graduate school for that reason. Not solely, but I'm just not suited for school environment. A small note to those who are not in college yet - become an engineer with plenty of internship experience, and you won't need to rely on a graduate degree to get a good job in industry. I wish I had photos to blog. Photos speak for themselves on here so I don't need to do much of the talking! Truth be told, I purposely didn't bring my camera and a tripod with me to college. I felt the need to really focus on my school work, but who am I kidding? My college life is only getting tougher. I wish my major had a creative side to it. Even designing of parts would be nice. I do have some photoshoot concepts in mind for something different from my usual photos. I am thoroughly enjoying my stress free weekend. There's only one thing that would make it better, and I'm hoping it will happen tonight.